Teeth can lose their pearly white glow as you age, but many habits, foods and beverages can speed up the process by leaving dingy yellow and brown stains behind. That may be why teeth whitening is the most popular procedure in cosmetic dentistry today. Eliminating these stains can be a great way to turn back the clock and restore teeth to their youthful whiteness. Our West Hollywood cosmetic dentist, Poneh Ghasri DDS, can help. 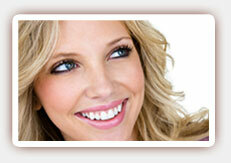 Zoom whitening is one of the most powerful in-office teeth whitening treatments available today. This light-assisted chair-side whitening system uses hydrogen peroxide to break down the stains in the enamel and dentin in teeth while leaving the structure of the teeth intact. The light is used to activate the gel and enable it to penetrate below the surface of the tooth. The procedure begins with a consultation, and a dental cleaning will be advised to remove any plaque and tartar buildup that could compromise your whitening results. Your teeth and gums will be prepared, which may take about 20 minutes, and the bleaching solution will be painted directly onto your teeth. Each bleaching session will last about 15 minutes for a total of an hour of treatment time. You will receive a touch-up kit to maintain your newly bright teeth, and our dentist will explain which foods and beverages you may need to avoid in order to keep your teeth looking freshly whitened. Contact us today to schedule your consultation with Dr. Ghasri, West Hollywood Zoom whitening expert.